Plants from the rain forest are diverse and exceptional, just like the Christmas Cactus. It was named after the famous cacti breeder Frédéric Schlumberger and presents itself with big and bell-shaped blooms during Christmas time. This cacti species is quite resilient. 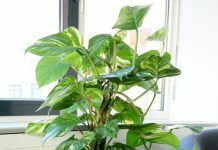 You (nevertheless) have to fulfil (some) requirements, so that this exotic plant can be cultivated on your windowsill. Schlumbergera is a fascinating plant. The (striking) thing about this Brazilian plant are its shoots that are segmented into segments. The trivial name ‚Christmas Cactus‘ did not originate by chance, since the plant will develop its striking blooms from November to December. In our living rooms, you (mostly) find hybrid breedings of this resilient cacti species. (Because of) its tropical origin, the Schlumbergera claims (some) requirements regarding location and care. 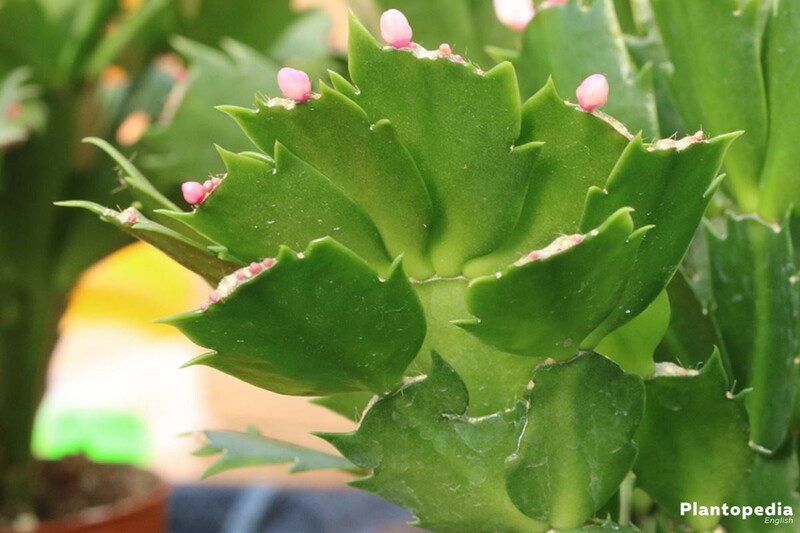 This plant is suitable for starters, if they meet the Christmas cactus’ needs. It’s definitely a myth that cacti will only feel well in very sunny locations. A good example is the Schlumbergera. 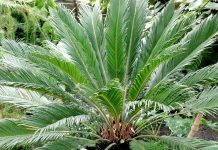 It originates in a tropical climate, but will not tolerate direct sunlight. (Especially) during the hot lunch hour the plant can be seriously damaged. The Brazilian cactus needs a bright to lightly sunny location. It deals well with a few hours of sun during midmorning and afternoon. Regarding these requirements it can (also) be sparse half-shade. Shadowy locations are no possibility. Cacti will etiolate with light deficiency. A rapid growth and weak tissue will be a consequence. Warmth and high humidity are two very important factors. 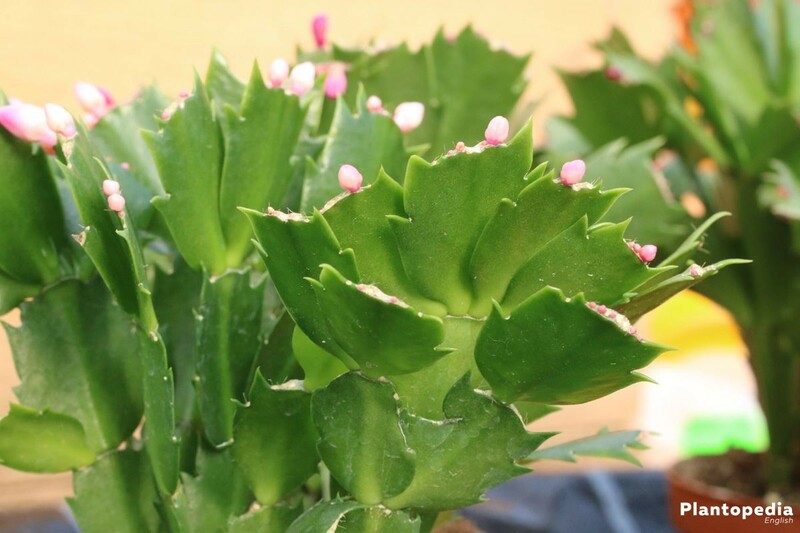 During the summer the Christmas cactus can be cultivated in pots on your balcony, or a bright terrace. As soon as temperatures fall below 10 degrees Celsius, the plant has to be put back inside. 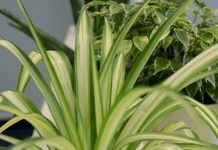 If you put jars filled with water around the plant, for example an indoor fountain, the humidity around it will be permanently increased. A characteristic for the Schlumbergera is its shrubby growth habit with (multiply) branched shoots. Bristle-like thorns cover the plant up to its blooms. It’s a myth that cacti manage long-lasting drought. Their slow growth will display water shortage (too) late. From March till the end of August the plant has to be regularly watered with lime-free water. At first, the upmost substrate layer should be (completely) dried. The Schlumbergera kind loves to be wetted with precious liquid from a spray bottle. Water-logging can be deadly for the Christmas cactus. A drainage will help with draining excess water quickly. By doing this the plant won’t get „wet feet“, which will prevent root rot. 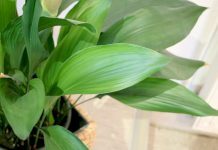 To develop the orchid-like blooms, a period of rest is needed. During this time the Schlumbergera should only be watered lightly, since the surrounding temperature should be at low 12 degrees celsius. 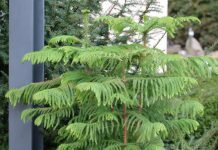 If these requirements are met, the plant will develop buds during the winter months that will open up during Christmas time. The name „Christmas cactus“ is based on the winterly blooming period. From this moment on, room temperature should be increased, just like watering. 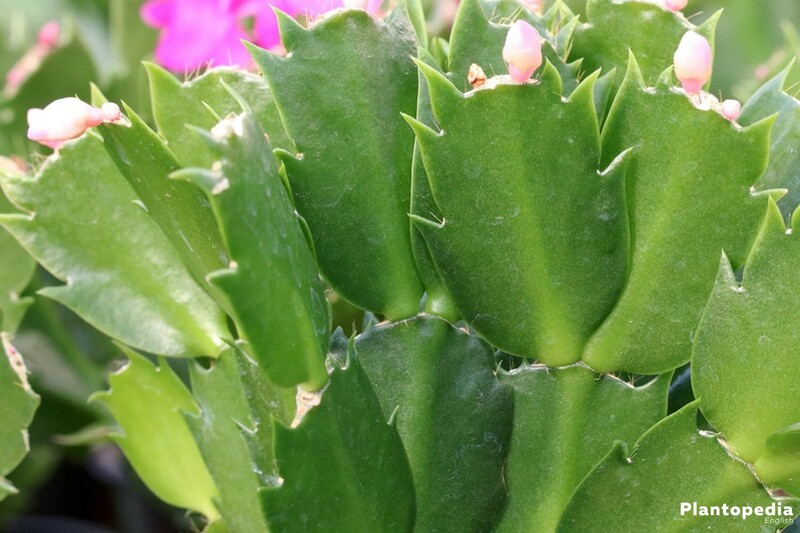 During April to August the Schlumbergera has nothing against a supply of nutrients. 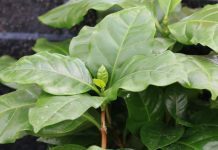 Organic means, like compost (or) coffee grounds, are only partly suitable for pot plants. There’s a high risk of the roots being damaged by an over dose. Seed cultivation is connected to a lot of effort and patience when it comes to Christmas cacti. (Here) the labour (already) begins with the extraction of seeds. All kinds of the Schlumbergera family cannot fertilise (themselves). If you want to extract germinable seeds, you’ll need more than one plant. During the blooming period, important animal helpers that help with pollination are often lacking. The plants (therefore) need human help. Lightly dust the pistil of each bloom with a fine hair brush. Downside: Plants that have been bred with cuttings are not suitable for pollinating mother, or sibling cacti. After the end of the capsule’s ripeness, the seeds can be extracted and should be stored in a cold and dry location for a few weeks. The exotic plants are light germinators. Only the right approach will make the cacti sprout. the soil has to stay moist, but prevent ponding water. Germination can be quickened in a miniature conservatory. If you don’t have anything like this, you can use clear foil. The foil has to be perforated and should be stretched over the whole vessel. Toothpicks, or darts made of wood can help to avoid a contact between the foil and cultivation soil. To prevent mould, the material should be removed for a (few) minutes every day. Once you try to cultivate the Schlumbergera you will have to have patience. Several months can pass until the first green shoots start to appear. The substrate mustn’t dry out during this time. (Once) the plants have reached a height of ca. 5 cm, they should be put into individual pots. During the first two months no nutrients should be added. 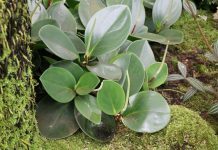 The breeding of cuttings is uncomplicated. Cut of several parts from the mother plant with a sharp knife, or clean scissors. The cacti shoots should lightly dry on newsprint in a dark location for 24 to 48 hours. Root formation can be recognised by the development of new cacti segments. From this moment on, the young plants should be piqued and moved to their final vessel. In the new location we advise you to slowly make the plant get used to (direct) UV radiation. During the first days the cacti should be placed with a distance of 60cm to the windowsill. Step by step you should minimize the distance. This will prevent leaf damages, (which) will not regenerate. Brazilian cacti are extremely sensitive to cold. With temperatures under 10 degrees celsius, the plants like to move to a warmer location. This (also) applies to hybrids of the Schlumbergera. This is the reason why we advise you to not plant the cacti in your garden. A short outside stay during the summer will be tolerated, (but) this should take place in a pot. An important criterion, apart from location, is a permeable substrate. Rain water mustn’t concentrate in the pot and should be able to immediately drain. 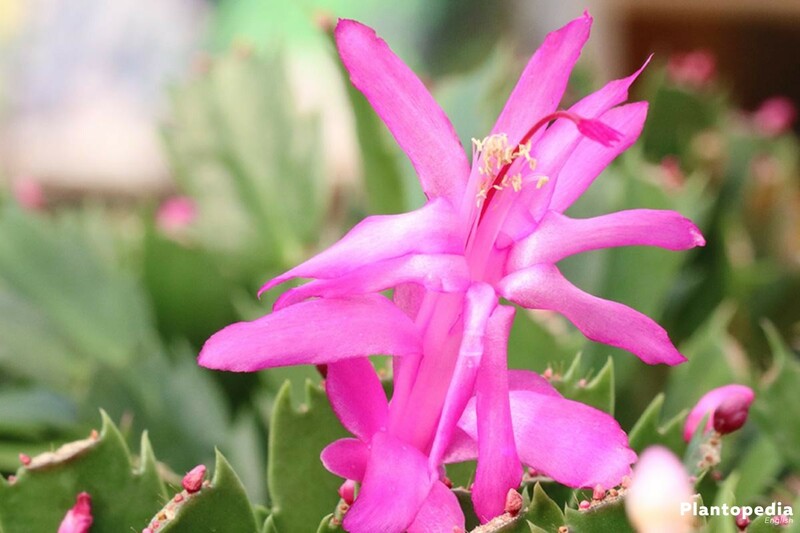 With the exception of resting and blooming periods, you can (always) repot the Schlumbergera. If you look at the roots, you can see when you have to act. During planting and repotting, the following rules apply: Don’t mess with the root network. Christmas cacti are sensitive to trimming in this area. This (also) applies to dead parts, or ones that have been affected by root rot. Cacti are ideal plants for a cultivation in a hydroculture. Instead of soil, you should resort to clay balls. This material only holds the plant’s roots, nutrients are added by watering. 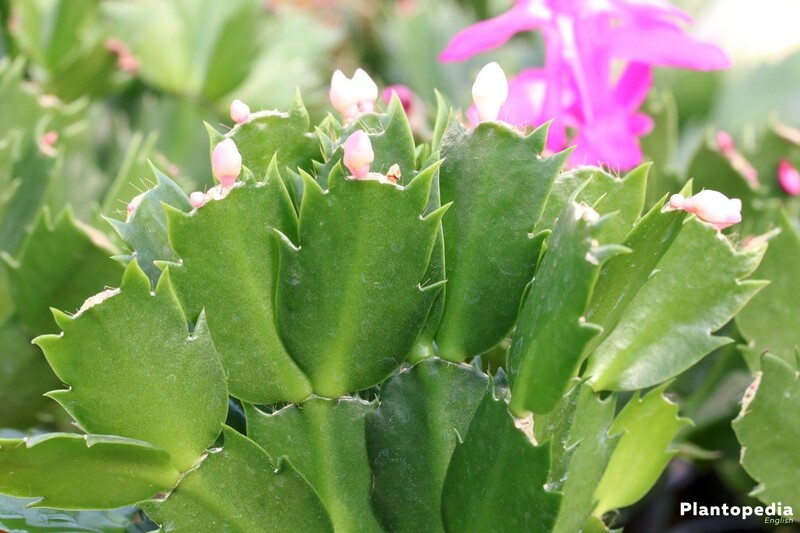 With the Schlumbergera, you should make sure that the roots don’t protrude too deeply into the nutrient solution. The cacti’s water level indicator should not reach maximum. Hydroculture has many advantages. It is difficult, or elaborate, to relocate plants from common flower soil to a hydroculture. (Even) small amounts of flower soil can lead to decomposition. To avoid this, you have to remove the old substrate (completely). The moment in which this warmth-loving plant should be relocated to your protective windowsill is dependant on the weather. Temperatures below 10 degrees celsius will disagree with the Christmas cactus. Before relocating, you should take a (closer) look at this exotic species. By doing this, you can identify unwelcome visitors, like spiders and bugs, and get rid of them. From the end of September to November/December the room can be cool, temperatures between 10 to 15 degrees celsius are ideal. These measures are used to prepare blooming periods, or the development of buds. As (already) mentioned temperature should be increased starting in December and the Christmas cactus should be watered as usual. The move to a brighter location (also) has to happen. Only exception: the supply of nutrients should not be started until the spring. During blooming period the plant should only be watered, (but) not moved. 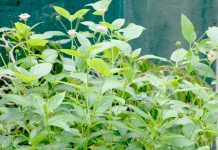 The exotic plant will react sensitive to outer disturbances, which can result in the dropping of blossoms. 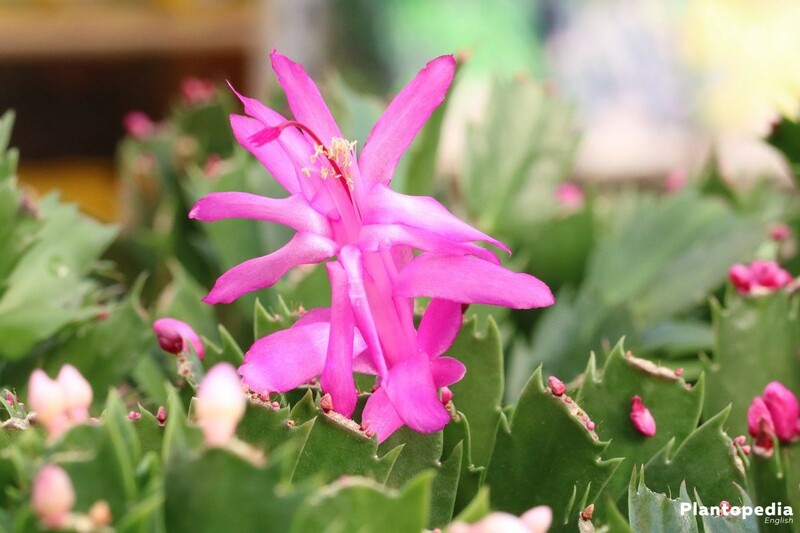 If you want to make the Schlumbergera get used to the outside with an hourlong stay outside after the colder times, you should make it adapt to the sun slowly. Domestic pests are (rarely) spotted on succulents or cacti. In many occurrences, the substrate is the cause for pests, since bugs like the leafminer can use it to lay eggs. If there are many plants in the neighbourhood, not even the quite picky greenflies will avoid the Christmas cactus. To find these cell sap sucking insects on your shoots of the Schlumbergera is an exceptional case. To prevent the breeding and proliferation of greenflies, you have to act quickly. Many flaws, like weak or coloured leaves, (or) miserable growth, are (usually) the result of mistakes of care. A homemade problem is hyperhydration. The Christmas cactus prefers high humidity, but does not like its roots to have permanent water contact. 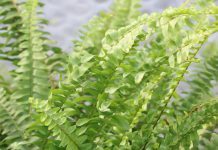 A fungal will infest weak plants and cause root rot. 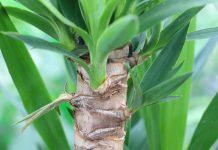 The root network will slowly be decomposed by the pathogen’s toxic substances, which will transfer to the whole plant. 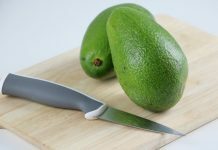 Effective fungicides as well as household remedies are not available. The only way to get rid of root rot is this: If the disease has not developed too much, the Schlumbergera can recover. To do this, the whole plant has to be put into fresh and dry substrate. 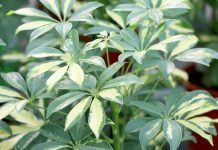 During the first few days it must not be watered and you should not fertilise it for a few weeks. Another option: If the main shoots have not been affected, you can use it to get cuttings. The disinfection of pots and substrate doesn’t make (any) sense. The fungal pathogen originates everywhere, but needs ideal requirements to develop. If you look (a bit) closer at the Christmas cactus, you will find that there are different kinds of the Schlumbergera. The plants differ in the length of their shoots and blossom colour.